The greatest golfer in Arizona State history failed to make the cut at the Waste Management Phoenix Open earlier this month. 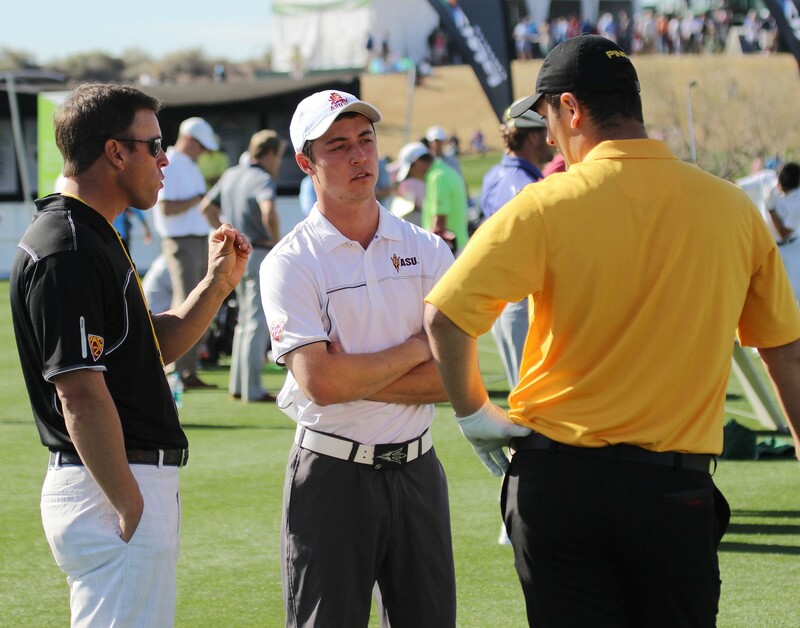 It was a current Sun Devil who made waves that week at TPC Scottsdale. Move over Phil Mickelson and make way for Jon Rahm. 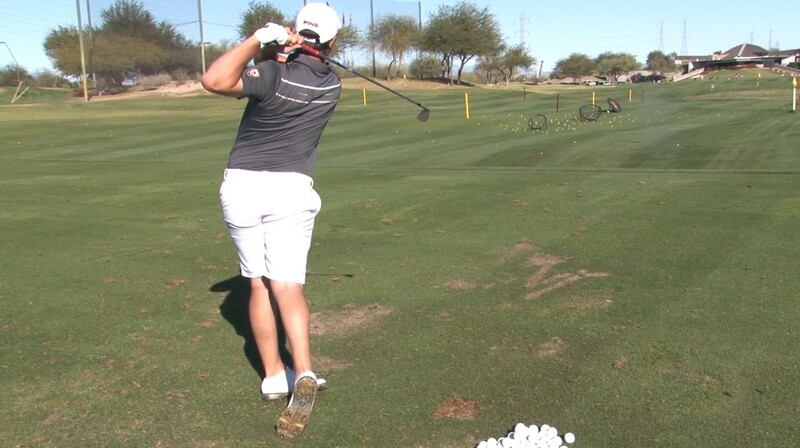 The ASU junior finished fifth in the tournament, the highest finish by an amateur on the PGA Tour since Chris Wood finished fifth at the 2008 British Open. Rahm finished the tournament with a 12-under-par 272, three strokes behind winner Brooks Koepka. Mickelson missed the cut, only the sixth time he has done so in 27 straight years playing the event. With Mickelson out, Rahm knew he had the Sun Devil faithful behind him. At the famous 16th hole, Rahm came out wearing a maroon No. 42 jersey with his nickname “Rahmbo” on it, a tribute to ASU football legend Pat Tillman. Rahm may never catch Mickelson in collegiate tournament wins (Rahm has four to Mickelson’s 16), but he is quietly becoming the most talked-about golfer since the days Mickelson dominated the course as a Sun Devil. ASU golf has a storied tradition beyond Mickelson, but assistant coach Eric Hoos thinks Rahm belongs in the conversation among the best to ever play at ASU. Fans of ASU golf have been familiar with Rahm since his career started in 2012-13 with Pac-12 Freshman of the Year honors and a strong candidacy for National Freshman of the Year. In 2014, Rahm introduced himself to the world when he not only won the World Amateur, but his 23-under-par 263 broke the tournament record by six strokes. That record was previously held by golf legend Jack Nicklaus. While Rahm’s play at the Phoenix Open may have raised some eyebrows across the golfing world, his teammates weren’t surprised. Senior Ben Shur was his caddie for the event and saw his performance as simply Rahm playing his game. On the third day, Rahm hit a beauty of a shot, slicing the ball around a tree on a par 5 hole. Rahm turned to ask Shur why he wasn’t excited about it. It might not be long before the world gets used to it as well. And soon the name Rahmbo could be just as popular as Lefty in Sun Devil lore. Jon Rahm's success as a young golfer has been evident. After the Arizona State junior's dominant performance in the Waste Management Phoenix Open, Rahm is getting many people's attention. Arizona State junior golfer and Waste Management Phoenix Open participant Jon Rahm, right, talks with caddie and ASU teammate Ben Shur, center, and coach Tim Mickelson on the driving range.